It’s almost as if Gearbox is afraid to stop shoveling DLC towards the monster that is Borderlands 2, perhaps fearing it will turn and devour its former master. So, once again, get ready to reload your most beloved automatic weapon and journey back to the sun-baked world of Pandora. "The Ultimate Vault Hunter Upgrade Pack 2: Digistruct Peak Challenge" drops on September 3rd, for $4.99 on Xbox 360, Playstation 3, PC, and Mac. The new mission promises to massacre all but Pandora’s strongest champions. 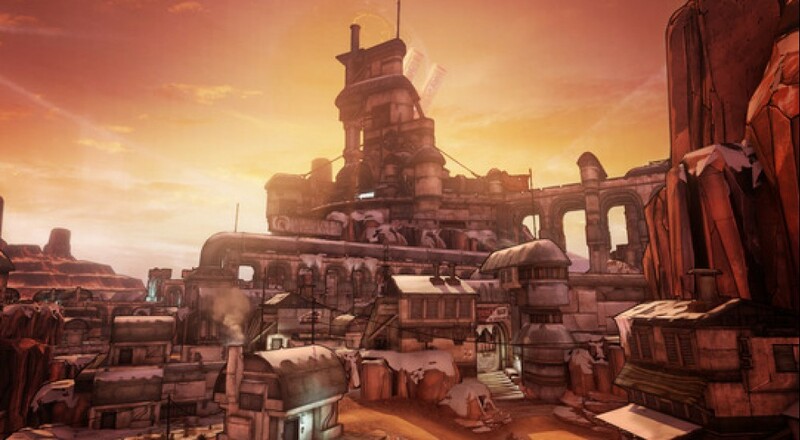 Those warriors who complete the Raid on Digistruct Peak at level 72 will be allowed to challenge even tougher enemies, and also given ultra-powerful loot, though Gearbox's description of these implements of destruction was a bit coy. This pack does work in conjunction with the first upgrade pack, so you will need to have it in order to access the top tiers of gameplay. 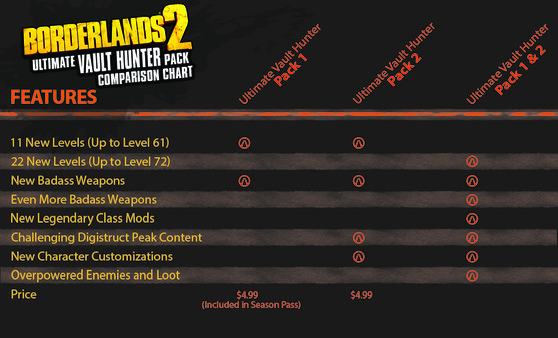 Unlike its predecessor, "Ultimate Vault Hunter Upgrade Pack 2: Digistruct Peak Challenge" is NOT included within the Season Pass. This news comes hot on the heels of the Borderlands 2: Game of the Year Edition announcement, scheduled for release in October. While that edition comes with a slew of quality DLC, the Ultimate Vault Hunter Upgrade Pack 2 will be absent from the bundle. Those knuckleheads at Gearbox effectively weaponize Borderlands' twisted charm, in the trailer for the previous DLC: "Tiny Tina's Assault on Dragon Keep". Don't look directly into her eyes. That way madness lies.